A ladybug on a ligustrum leave. It is Harmonia axyridis a.k.a. 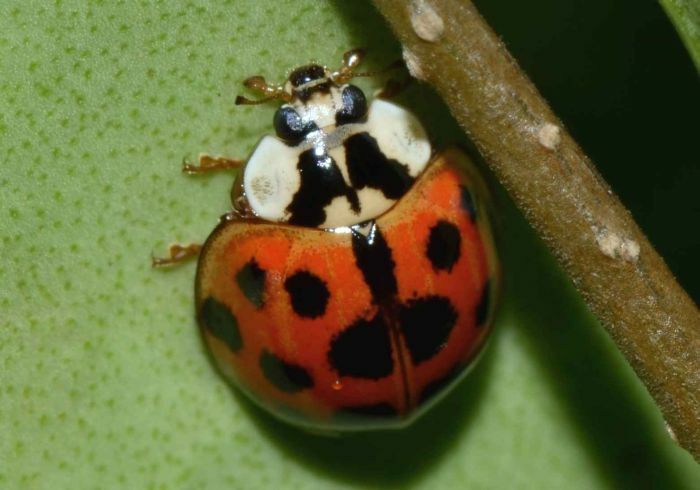 Asian (or Japanese) lady beetle which comes in numerous colors and has 0-22 spots. I also saw an orange ladybug with no spots at all, which probably belonged to the same species. This species is not "native" to North America; it was introduced deliberately to control aphids.